The official China Daily said that the United States had failed to understand that the business it does with China supports American jobs. Shanghai: US protectionism is self-defeating and a "symptom of paranoid delusions" that must not distract China from its path to modernisation, Chinese state media said on Friday as Beijing kept up with its war of words with Washington over trade. 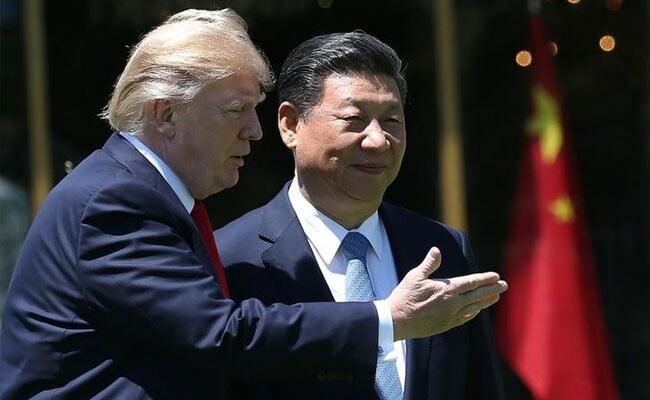 US President Donald Trump threatened on Monday to hit $200 billion of Chinese imports with 10 percent tariffs if China retaliates against his previous targeting of $50 billion in imports. China's commerce ministry accused the United States on Thursday of being "capricious" over bilateral trade issues and warned that the interests of US workers and farmers would ultimately be hurt by Washington's penchant for brandishing "big sticks". The official China Daily said in an editorial the United States had failed to understand that the business it does with China supported millions of American jobs and that the US approach was self-defeating. The English-language paper cited research by the Rhodium Group saying that Chinese investment in the United States declined 92 percent to $1.8 billion in the first five months of the year, its lowest level in seven years. "The woes the administration is inflicting on Chinese companies do not simply translate into boons for US enterprises and the US economy," it said in an editorial headlined "Protectionism symptom of paranoid delusions". "The fast-shrinking Chinese investment in the US reflects the damage being done to China-US-trade relations ... by the trade crusade of Trump and his trade hawks," it said. The 30-stock Dow Jones Industrial Average slumped for an eight consecutive session on Thursday as shares including Caterpillar Inc and Boeing Co wilted. Big US manufacturers and automakers were also under pressure after Germany's Daimler cut its 2018 profit forecast and BMW said it was looking at "strategic options" due to the Sino-U.S. trade war. Foxconn Chairman Terry Gou said on Friday the US-China trade war is the Taiwanese company's biggest challenge. "What they are fighting is not really a trade war, it's a tech war. A tech war is also a manufacturing war," Gou said. A Sino-US trade war could disrupt supply chains for the technology and auto industries - sectors heavily reliant on outsourced components such as those supplied by Foxconn - and derail growth for the global economy, analysts say. The Global Times, a widely read tabloid published by the ruling Communist Party's official People's Daily, said in an editorial China needed to be realistic about how it could handle the United States and look at other strategies. "The US has the upper hand over China in technology, defence and international influence, and therefore the country will continue to have a strategic initiative over Beijing for the foreseeable future," it said. "As long as China remains clear-minded in strategy, level-headed in its US policy, and avoids a full-fledged geopolitical competition or a strategic clash against the US, China will be able to withstand U.S. pressure. In other words, China should focus on its domestic affairs." "As long as China can effectively utilise its successful policies and experiences accumulated since the reform and opening up, and avoid subversive mistakes, the country will see robust momentum for development," the Global Times said. Asian shares fell to their lowest in six months on Friday on signs that US trade battles with China and many other countries were starting to chip away at corporate profits. In Shanghai, stocks hit a fresh two-year low before rising slightly on Friday morning, while shares in Hong Kong also declined.